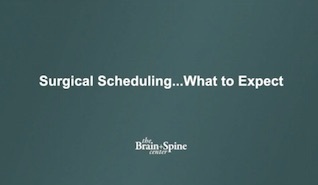 Thank you for selecting The Brain + Spine Center. We truly appreciate that you have entrusted us with your care. It is our goal to provide you with a stellar service experience. If at any time, you feel that we have fallen short of this goal, please contact Lisa Pearson, Executive Director at lisa.pearson@brain-and-spine.com or 616-738-4420. We believe that your health care should be a team effort. Below, there are a few processes that we have implemented within our office in order to maximize our ability to treat you effectively and efficiently. We ask that you help us to do this. At time of registration we ask that you check-in 15 minutes prior to your scheduled appointment to complete paperwork. Registration forms can also be printed from this website and completed prior to your appointment to avoid the 15 minute early check-in. Simply go to our home page and click Patient Registration Forms. Print the forms, complete the necessary information, and bring them to your appointment. Please contact our office with any questions while completing these forms. Please be aware that a late arrival or an arrival at the appointment time but without the completed paperwork may require your appointment to be rescheduled to avoid delays for other patients. Please bring your insurance card to every appointment. You will be asked to pay your insurance co-pay and/or a portion of your bill at each visit. Contact your insurance carrier prior to your appointment as some require prior approval for services. Patient benefits and eligibility can be confirmed through your insurance plan. You may be asked to send any pertinent medical records, x-rays, and/or scans prior to your appointment. Red Flag Rules: In an effort to comply with federal Identity Theft Laws, The Brain + Spine Center requires that patients present photo identification for treatment. Please contact our office with questions regarding this policy. Thank you for helping us to protect you. 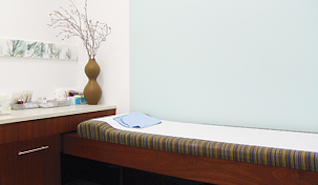 Our goal is to minimize your wait time prior to your scheduled appointment. Please understand that emergencies and delays occasionally occur. Patience in these situations is greatly appreciated and we will do our best to keep you informed if such delays do occur. Two days prior to your appointment day, you will receive a friendly reminder call from our automated appointment reminder system. We would ask that you please contact our office within 24 hours of your scheduled appointment if you need to reschedule or cancel. Every time a patient does not notify us that they will be unable to keep an appointment it prohibits another patient from being able to see one of our providers. If you do not let us know at least two hours prior to your appointment time that you will be unable to keep your scheduled appointment, you will be assessed with a “no-show.” Two “no-shows” within a rolling 12 month period will result in a patient being discharged from our practice and no further appointments will be scheduled for him/her. Our fees for services, including office visits and surgeries, are based on the level of professional skill required, the severity and complexity of the injury or illness, as well as the time spent treating you. Please do not hesitate to inquire about the charges for our services, however a precise estimate in advance may not be possible. Payment for services may be paid at each appointment by cash, personal check, money order, or credit card. All patients are required to pay a portion of their bill at the time of service. Payment in full is due within 30 days of service unless previous arrangements have been made. As a courtesy to you, we will bill your insurance company. Insurance companies sometimes use the phrase “usual and customary” when discussing professional and facility fees. It is important that you understand that the insurance companies set their own “usual and customary” rates based on a wide geographical area and the fees we charge may differ. We ask that you realize that services are rendered to a person, not an insurance company. Hence, the insurance company is responsible to the patient and the patient is responsible to us. We are preferred providers with most insurance companies; however, we encourage our patients to contact their insurance company prior to any appointments to verify eligibility and coverage. Preferred provider status for a specific insurance company may differ between our physicians. This information will ensure accurate and timely filing of your claims. Without this information we will be unable to submit your claim to your work comp carrier and, therefore, will ask for payment at time of service. If your claim is denied or not paid within a timely manner we request that you file a personal claim with your health insurance or pay the charges in full. We recommend you notify your employer should there be any delays in settling your worker’s compensation claim. We are providing these instructions to help you prepare for your upcoming surgery.